Our product range includes a wide range of autocad software. 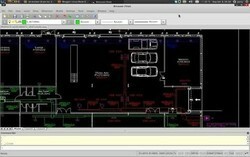 ARES Commander is a DWG based CAD software. It can do everything that Auto CAD does and much more. You can open Auto CAD drawings, edit, print & save in ARES. You can open these drawings (created using ARES) in Auto CAD if you want, edit & print in Auto CAD. The commands and user interface is very similar and you don't have to spend any extra time to learn ARES. ARES Commander Edition is only 1/3rd of the cost of Other 2D CAD Software & WITH ARES Commander Edition MANAGEMENT'S INVESTMENT COST WILL BE REDUCED. ARES Commander Edition help you to work on your LEGACY DATA & files created in ARES Commander can be used in other CAD software. Ares Commander Edition Support's major OS - "Windows" ; "Mac" & "Linux"